his favorite sport was actually soccer. Yes, soccer was his first love. Despite favoring futbol, he still held an open mind. At the age of 15 he was encouraged to try basketball and he didn’t resist the idea. He adapted to change and the rest is history. In your life there will be change. LOTS OF CHANGE. The faster you can realize and accept that life can be unstable, the better you will be at adapting to change. 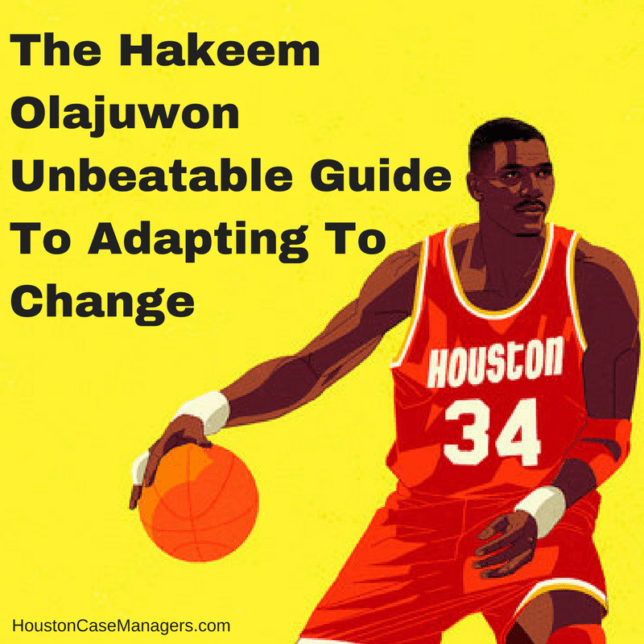 In this article we will show you examples from Hakeem Olajuwon’s life where he adapted to change and then excelled. Read about the following situations in which Dream adapted to change in his life and then see if you can apply these lessons to your life. Hakeem Olajuwon is the greatest center ever. DONT DEBATE ME BRO OR MA’AM. He would have never accomplished this feat had he been closed minded. Hakeem was a 15 year old kid before someone at the Muslim Teachers School in Lagos, Nigeria introduced him to basketball. Hakeem embraced that new idea and his willingness to consider changed opened doors in life for him. No matter your situation there are opportunities are all around you. The key is to not only be open to new opportunities but also seek them out. One way to seek out change everyday is to simply go against the grain sometimes. Change your behavior patterns. If those in your circle, social media network, etc, are behaving a certain way, then take a different approach. Everyone who is behaving a certain way is likely getting the same boring results. Take a different approach and see what happens. Maybe people laugh, maybe they give you the side eye or maybe you blaze a trail to greater opportunities. Soccer was the most popular sport in Nigeria during the 1980s when Hakeem was growing up. He could have played it safe and been a professional soccer player, but he didn’t. Hakeem was open to a new way of thinking and this paid off immensely. Think about your daily routine. Are you happy in life? If you’re loving life, don’t change anything. If it ain’t broke don’t fix it. However if you are feeling anxious, bored, unfulfilled all these are signs that you should consider actively seeking out change. If you’ve ever heard Hakeem Olajuwon speak you know exactly how honorable and gentle he is. 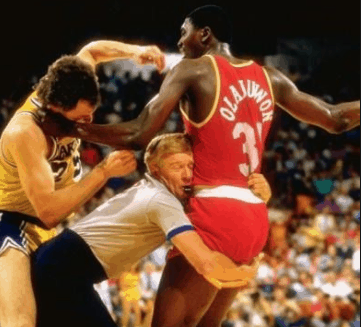 In the 1980s some would describe Hakeem Olajuwon as being “undisciplined”. He talked back to referees, piled up technical fouls and was even known to throw an occasional haymaker. Olajuwon needed a change. Change eventually came in the form of a man approaching Hakeem after a Rockets practice and asking “if he was Muslim, why didn’t he attend mosque”? The man took Hakeem to the first mosque ever built in Houston. It was from this point that Dream reinvented himself into the person he wanted to become. Note: That mosque that Hakeem was taken to is now the Islamic Society of Greater Houston located at 3110 Eastside Street Houston, TX 77098. If things are not going your way in life you don’t have to continue living in misery. Instead make a conscious decision to change. You can begin reinventing yourself by thinking of someone that you admire. What qualities do they possess? Write those traits down. If you know this person, take them to lunch and ask questions about how they found success in life. If its a celebrity, watch their youtube videos or listen to their podcast. Do whatever you have to do to study their traits and then adapt them to your personality. 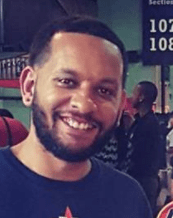 For Hakeem, he reconnected to his Islamic faith. Your reinvention can be something completely different. As long as its positive it doesn’t matter how you reinvent yourself. The point is if things aren’t going right in your life, STOP WHAT YOU’RE DOING and look at those who are succeeding. Once you find someone you look up to, mirror their exact behaviors and this will help you to reinvent yourself into the person you want to become. During Hakeem Olajuwon’s first championship run he and the Houston Rockets faced a different struggle each series. To win an NBA Championship, you must beat 4 different teams. During the 1994 playoffs each team the Rockets faced had a different style of play. In the First Round the Rockets beat the Portland Trail Blazers. They were lead by Clyde Drexler and this team was extremely athletic. The Second Round the Rockets won a 7 game series against the Phoenix Suns. Charles Barkley was the star of this team and the Suns played at a fast pace. Houston faced the Utah Jazz in the Western Conference Finals. The Jazz were lead by John Stockton and Karl Malone. Utah was a fundamentally sound team. People often said the Jazz played like a “fine oiled machine”. 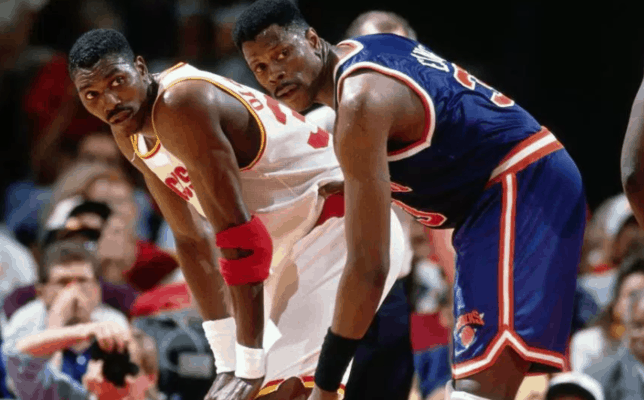 Lastly, in the NBA Finals Hakeem Olajuwon and the Rockets beat the New York Knicks. Patrick Ewing was their star and the the Knicks style was extremely rugged. Four tough teams that required four different game plans. In your life you’ll likely need even more game plans. Knowing and accepting that you will encounter problems that will require different approaches is the first step in overcoming these unseen situations. The Rockets had no idea who they’d play each round, but with each win their confidence grew. Eventually it got to the point where it didn’t matter who step on the court, because they would find a way to win. With each win in your life, YOU will grow in self-confidence. Maybe you have no idea how you’ll find another job after being laid off, but think back to past examples in life. You’ve been on earth for (your age) number of years and you’ve found a way to overcome each and every single obstacle that’s confronted you. Know that you’ve overcome different struggles in the past and you will find a way today and tomorrow also. Hakeem Olajuwon has been retired for years but NBA superstars still come to him for advice. In the video below Olajuwon is training with Dwight Howard. Hakeem teaches Howard and effective hook shot, but he doesn’t stop there, he then asks “what is your counter move”? Hakeem understood that his hook shot was effective, but he needed to have a counter move. The best example of this was the 1995 Western Conference Finals. 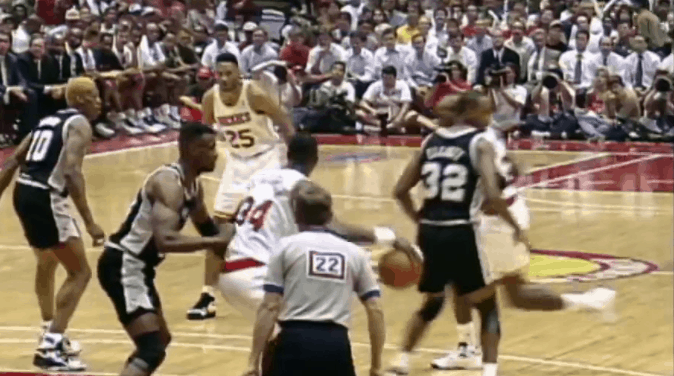 Olajuwon bamboozled David Robinson because he had a series of counter moves. And then counter moves to those counter moves. Hakeem referred to them as counter moves, although in real life they’re called backup plans. Do you ever anticipate that things will go wrong in life? You should, because they most certainly will. Instead of dreading that something will go wrong, mentally prepare for it. Know that when you wake up that day you will be tested. Somehow. Some way. Once you’ve mentally prepared, make a conscious effort to formulate as many backup plans as you can. If you cannot pick up your child from school, can a relative do it? Should the dog kennel near your home be full, can a co-worker board your dog? You’re having suicidal thoughts at night is calling Harris Health’s Crisis Line a viable option for you? What if layoffs occur at your job, can you drive for Uber to pay the rent for a few months? Things will go wrong in life, believe that. You don’t have to be fearful though. Expect that things will go wrong from time to time and properly plan for those occasions. Doing this will give you the reps you need for those unexpected situations. 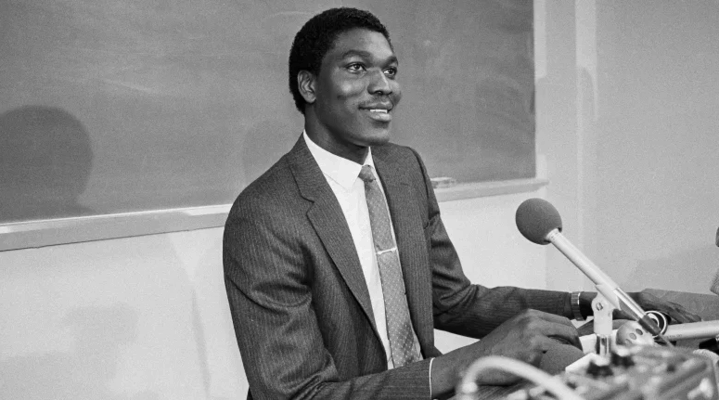 As you can see Hakeem Olajuwon faced lots of change in his life and NBA career. Despite the ever changing environments, Hakeem always flourished because he not only embraced change, but prepared for it as well. Prepare yourself for change both mentally and strategically. Know that each day you wake up you will be faced with a change of plans. Understand what your strategic options are when things do not go as planned. Do these two things and you will gain peace of mind as well as greater success in your career and personal relationships. How do you adapt to change in your life? Do you have any good advice for others? Give us your thoughts in the comments below.